Video Production is an Expeditions class that works on filming and acting. Vince Nelson teaches the students how to use cameras, how to work the lights and how to act. Students also learn how to record on camera. Video Production class involves directors to run the skit, filmmakers to film what is going on in the skit and the editor to edit different scenes of the skit. Also, in Video Production Mr. Nelson invites visitors to come and talk about their experience acting and the art of filming. As the rest of the students were watching a movie in Video Production class, three student directors were taking notes on what the movie is about. The scripts were given by the teacher. 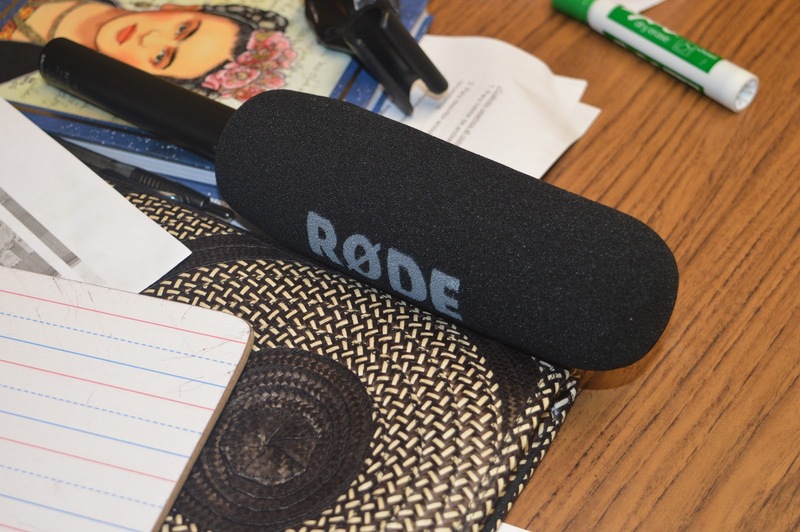 Mr. Nelson allows students to pick what job really fits them, such as the boom operator who makes sure that the microphone is not in the frame when filming starts. The director is in charge of everything such as guiding the filmmakers, actors and the student directors. He is the one who makes sure that they have the right actors for the film. He is also in charge of making the scripts for the performers. The sound mixer is the one who makes sure the audio is very good quality. The script supervisor is in charge of making sure the actors know what they are saying and making sure that they memorize their lines. The cameraman has a good job in filming. He is in charge of recording, angling the camera and making sure the lighting is good. Then there’s the editor. The editor is in charge of fixing all of the takes and making all of the scenes good for when the films are shown to our parents and teachers. The Assistant Director, also known as the AD, is in charge of making sure the camera, sound and lights are rolling. Finally, the art director is in charge of making all the clothes for the actors so when they perform they have the right clothes on. Students had audition in order to be selected to become actors. The director is the main person who brings the whole team together. This round, students from the drama class were also given a chance to audition. Mr. Nelson said that he is really creative in film, and he wants to express his art. According to Mr. Nelson, community means helping others learn the craft and coming together as a whole community. His goal for his class this year is to enlighten his students about the art of film and to allow his students to use modern equipment, while teaching them through his experience. Mr. Nelson’s strategies to help his students succeed during the next three rounds of Expeditions are to allow the students to teach themselves when he gives them instructions. Provazek said he chose the class because he “thought it might be interesting.” He added that he wants to learn what goes into production and “how this profession looks like.” Provazek thinks that “he does not have much experience” in video production so he does not want to be an editor or a cameraman. Before students go on stage, a lot of practice and memorization is involved, and the actors take it very seriously. Mr. Nelson explained that he wants to make students “improve their knowledge of editing, directing, acting and lighting because it is important to know all of those things in film” before presenting them to the class. During everyday Expeditions classes, Mr. Nelson makes the students practice presenting in front of the class with the cameras. In conclusion, the Video Production class involves a lot of work inside and outside of class in terms of actors memorizing their roles. Students frequently get to watch movies to learn techniques they can apply to their own films.